While the first week of Advent called on us to watch and be alert for the coming of Jesus Christ, the second week asked us to be prepare for the way of the Lord. The Advent season reminds me of my journey with God. Although it began before I was born, in the past 25 years I have had a profound calling by God to be ready. I have known that he has chosen me to do his will in a way that requires a great responsibility–one that I have feared. I have watched, and at times, tried to shun the prompting of the spirit within me. Although I’ve tried to extinguish the flame, the spark has ignited at different stages of my life. In the past five years, I have been alert as is asked of us in the first week of advent. Today, I know that God has prepared me in my journey to come home to him. I am paving the way for not just myself, but for others to be witness to God’s love. Whether we get divorced, find ourselves depressed, see no end to a thankless job, or searching for love, there is hope in God. 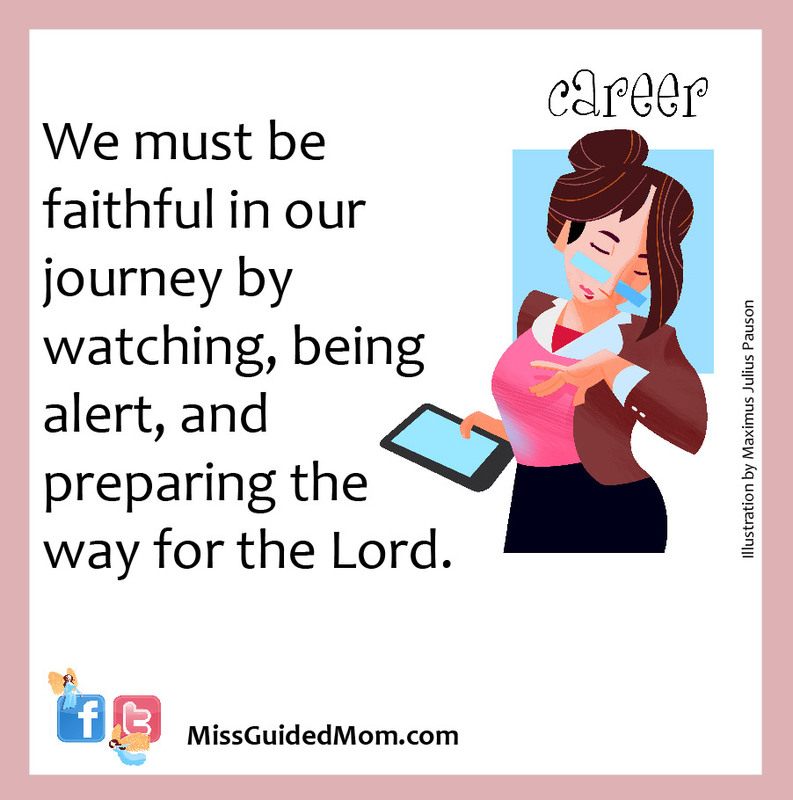 We must be faithful in our journey by watching, being alert, and preparing the way for the Lord. He is there with open arms, ready to take us in his embrace and welcome us home. I fear no more and am ready for what God has asked of me. Eve, how does one prepare? What does it mean in the spiritual life to get ready? How will you know if you are ready? Let’s make a comparison. 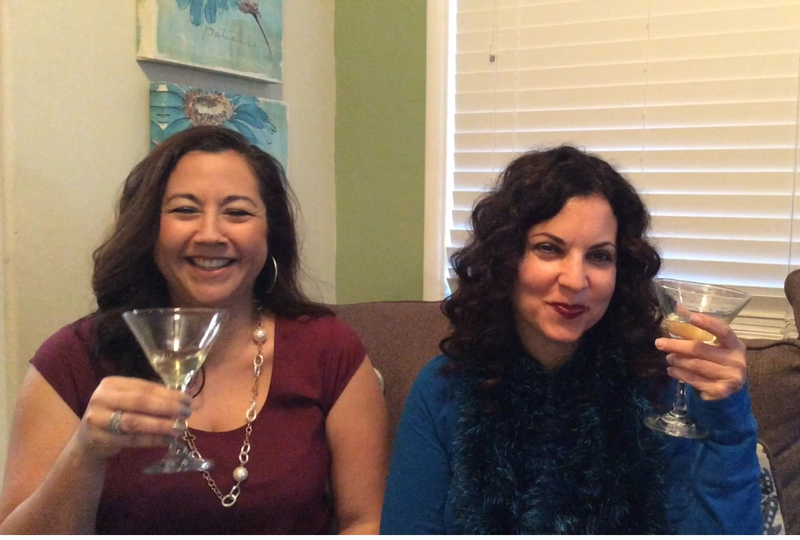 If you were to find out that someone special is coming over, what would you do? You would probably begin cleaning, cooking, and getting things in order. By doing this, you will be able to focus on the visit, wanting your guest to relax in the environment you worked hard to clean just for them. Well, for the spiritual life, getting ready means looking at your internal and external life. This requires you to sit in quiet, to reflect, and determine what changes you would like to make to live more congruently (internally and externally). This takes time and commitment. It also takes great humility and gentleness. This is not about being judgmental or critical of yourself. It is about coming back to who you are in the eyes of God . . . and that is simply his beloved daughter. From his lens, you will begin to see obstacles, detours, and potholes that have steered you away from your identity and from your relationship with God. It wakes you up to the decisions you made that did not draw you closer to him, who is so deserving of your love above all things. If you look at the angel Gabriel’s greeting . . . “Hail, favored one! The Lord is with you.” To be God’s favored one, to have the Lord with her, she must have sat in quiet, been reflective and become aware of the life she was choosing and called to live. Based on this greeting, she was filled with grace. Her being was connected to God like no other human could or will ever be in order to have received Jesus in her womb. She could not have received Jesus, the perfect Lamb of God, without preparation . . . she just didn’t know that she was working with God every time she entered into this state. This is offered to all of us. 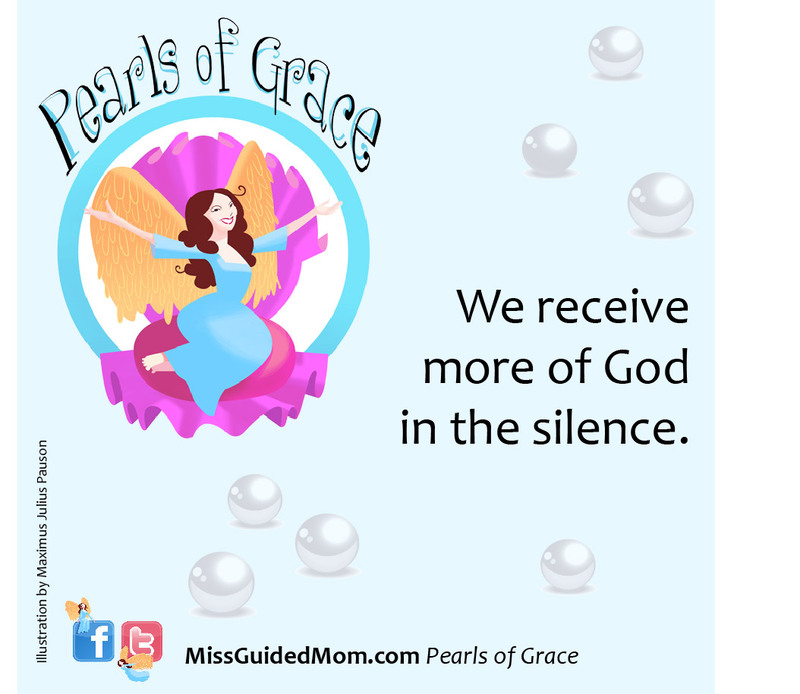 We receive more of God in the silence. This is what we are ultimately called to and then we can listen for the second calling on how God will ask us to share Jesus in the world. Mary was chosen to do this as his mother. You may be asked to do it as a writer, an artist, a mother to your children, a wife, etc. Don’t rush or focus on the second calling without hearing and bathing in the first. Otherwise, you may be rushing down the wrong aisle, accepting the wrong job, making decisions for the wrong reasons. And, then I must add, that even if you do say “yes” to the wrong thing, God uses everything and creates with you knowing you had the right intention just a little low on stillness and patience. Remember, waiting on God is part of the preparation where clarity happens. So here is something you can do every day to prepare and not just wait for Advent. It’s called the Daily Examen that St. Ignatius of Loyola developed to help you become self-aware and open yourself up to be ready to say “Yes” to God. This is done every night before you go to bed. You can read more about this at loyolapress.com and look up “Prayfully Reviewing Your Day” (The Daily Examen). As the night draws near, it is time for me to review my day and become more filled with grace.